Always attention to detail, technical skills, passion in our work and great attention to customer needs are the strengths that have allowed us to excel in the field of sale of AutoAir CANDY 617 OLD GOLD. Consultando il catalogo di Aerografando you will immediately notice how vast it is and how diversified the model range is Auto Air candy colors, you will find the best AutoAir CANDY 617 OLD GOLD offers at the best prices on all AutoAir CANDY 617 OLD GOLD of the brands AutoAir. The AUTOAIR Candy Colors are very transparent acrylic water used especially by Americans to create colorful shades and reflections on solid colors, which are applied precisely on the basis opaque, metallic or pearl. Very useful to give nuances to the flames. Their transparency allows the light that passes through them to combine with the color of the substrate and create a metallic effect of brightness in depth. Their name "candy" to the characteristic appearance of "candy fruit" (in American candy) conferred by these cellulose paints when applied in several layers. The final color obtained depends on the color of the candy and that of the metallic base, offering a wide palette of effects possible. Furthermore the various colors of Candy can be mixed together to get new colors. The AUTOAIR Candy Colors are to be applied in several thin layers stacked and protected by a transparent end-to spray for small items or polyurethane for larger surfaces. The colors Createx, Wicked, Auto Air and Illustration can be diluted with the High Performance Reducer. 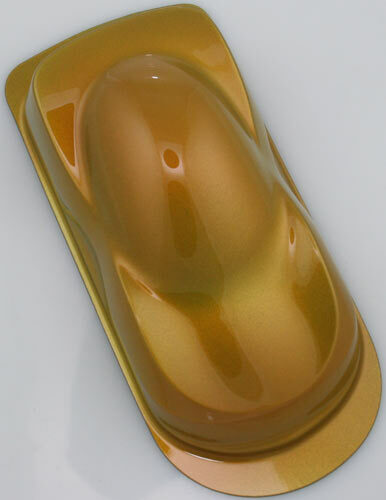 Read the reviews of our customers on AutoAir CANDY 617 OLD GOLD of the category Auto Air candy colors. With us you will find only satisfied customers, thanks to a technical assistance made by those who really know the world Auto Air candy colors. Review AutoAir CANDY 617 OLD GOLD of the brand AutoAir. Trust in the quality and professionalism of Aerografando on the sale of AutoAir CANDY 617 OLD GOLD, only from us you will find the best prices. You want to have more details on AutoAir CANDY 617 OLD GOLD 4617 or more generally on ours Auto Air candy colors? You are looking for a Auto Air candy colors but do not you find it in the catalog? Staff of Aerografando will answer all your requests.